After a mere breakfast at the hotel, I took the camera, GoPro, iPhone and went for a walk in the city focusing primarily on the Old Quarter and the French quarter. The Old quarter is a touristic area and as such has a backpack street Ngo Huyen Street located near the St Joseph’s Cathedral. In this part of the city, you will find a bit of everything and nothing, from very useful to very useless. You can buy handmade crafts, paintings, cards – you can have street food, fresh juice, or go to the barbershop for a quick fix. 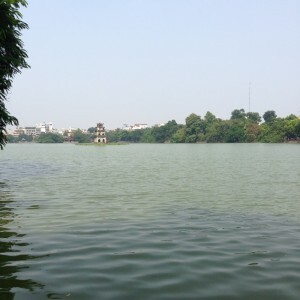 I was walking toward the Hoan Kiem Lake, a landmark in Hanoi. This is where they showcased the fireworks the night before celebrating the 60th anniversary of Hanoi independence from the French. While walking on the west bank of the Lake towards the French quarter, I was suddenly hungry and craved for Pho Bo, my first one in the country well-known for this dish. Somehow, right next to me there was a Pho Bo shop that appears to only attract Tourists. I went in — the food was OK, but I don’t recommend it. I hope to have better Pho Bo during my visit in Vietnam. I landed at Hanoi Noi Bai International airport on a Friday around noon. 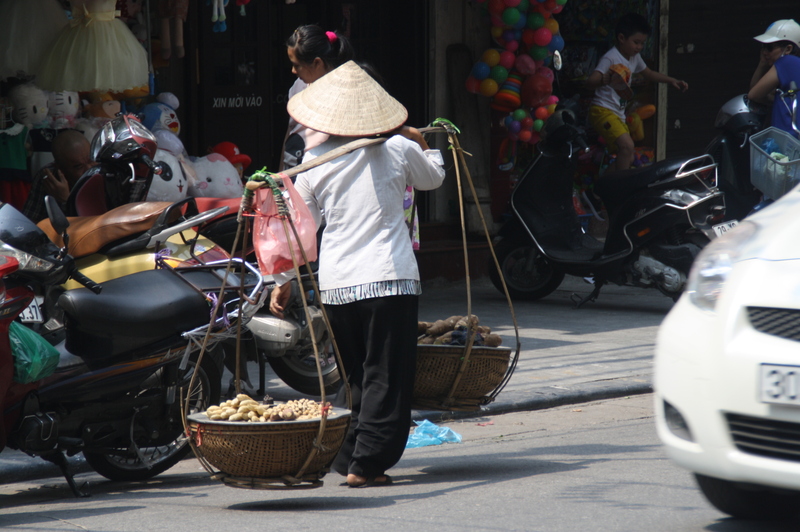 I took a cab to the city for 350k VND (a bit of negotiating, don’t go above 400k VND). I told the taxi driver that I didn’t have any hotel and asked him to drop me somewhere in the Old Quarter. Of course, they all are connected; the driver dropped me at a hotel with the price range between 10 to 15 USD. The room was ok, so I decided to stay there. After resting a bit and talking to the hotel manager already trying to sell me tourist packages, I decided to walk around the neighborhood to get my first impression of the city. 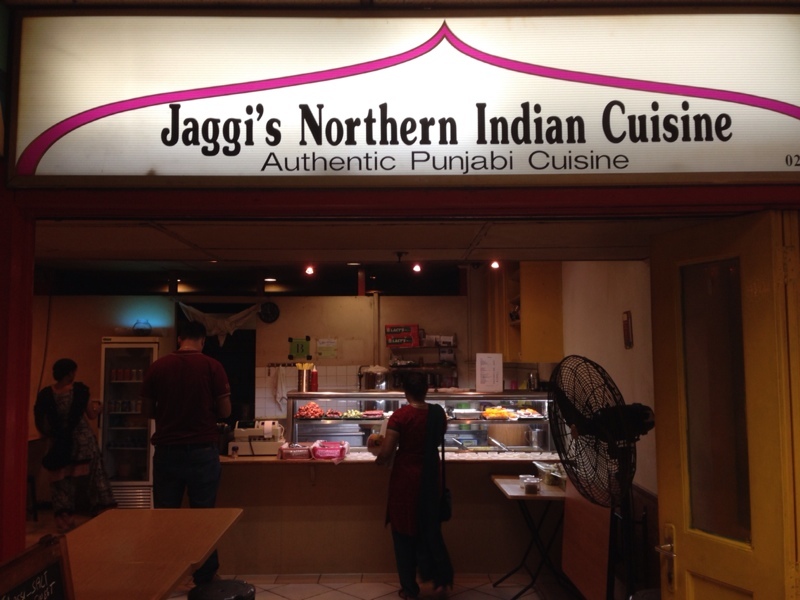 in Little India and is called Jaggi’s Northern Indian Restaurant. However, they have two shops in Singapore, and I often go to the one in downtown Singapore on Shenton Way. Jaggi’s cuisine is the best Indian food I ever have outside of India. Surely there are a lot of great Indian places elsewhere, and I have not tasted all of them, but from my mere experience of a foodie and a trier Jaggi’s cuisine is fantastic, and if you are wondering, they have food for everyone including vegetarian or vegan. Jaggi’s experience starts with the restaurant environment; within Shenton house food court it is located at the end of the alley right next to a Chicken Rice shop. The place is cozy, the kitchen is just behind the counter, and although there is a wall, the smell from the kitchen easily spread out in the eating room. The way Jaggi’s works is similar to a cafeteria, where you go up and select from many items on display. 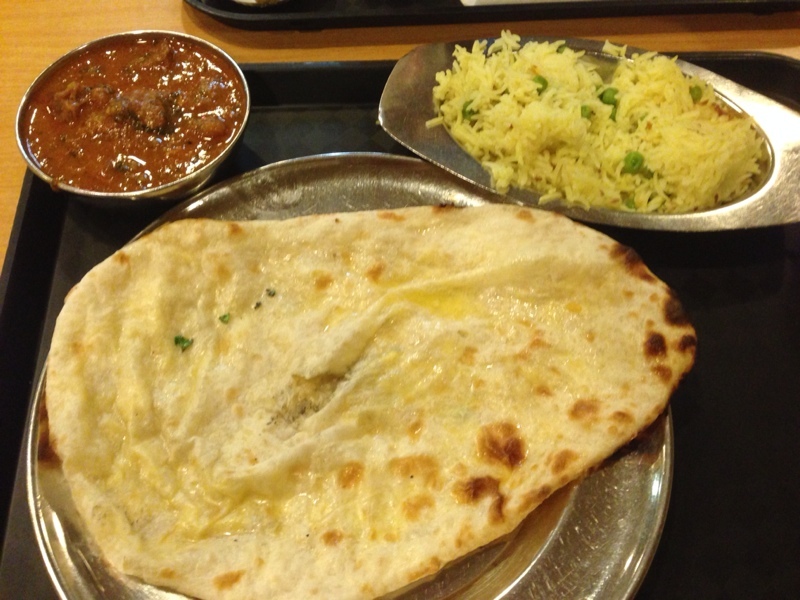 My favorite combination is the mutton masala with rice, and cheese naan. It is simple, easy to eat, and has great taste. The portion of rice in the image is half, ordering full give you a nice plate large enough for one person if hungry. The mutton masala is delicious; some might find it spicy, for some it has just the right dose. I loved it. 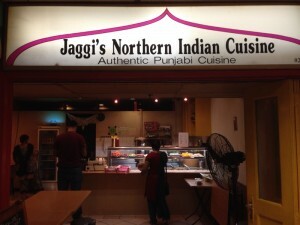 Oh, one last thing, a regular set of dish at Jaggi’s should not cost more than 10 SGD. That is pretty sweet considering the quality of the food.